African Americans are two times more likely to develop Alzheimer’s disease than whites. 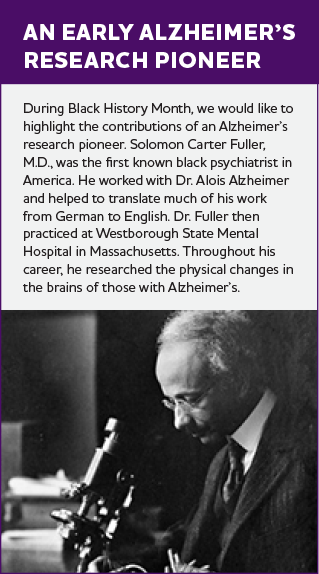 During Black History Month, we’re highlighting the critical need for African Americans to participate in Alzheimer’s research. Keith, who is living with Alzheimer’s and William, a healthy volunteer, share their reasons for getting involved. Keith Brooks of Shingle Springs, CA was diagnosed with Alzheimer’s disease last year. As a former attorney and judge, Keith’s memory challenges frustrated him. 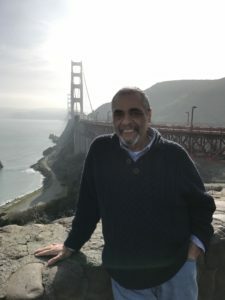 His doctor told him about a clinical trial at UC San Francisco, and Keith decided to participate. He hoped the drug being tested might alleviate his symptoms. Keith isn’t the first person in his family to have Alzheimer’s. His father had it and his younger brother recently died from it. He worries about his two children, now in their 20s. There have been some personal benefits, as well. Keith felt isolated after his diagnosis, and didn’t want people to know he couldn’t remember things. Being involved in the study has helped him open up and has given him hope for the future. And Keith enjoys participating in the study. He goes to San Francisco for monthly treatments, and researchers help pay for Keith and his wife, Tish, to stay overnight. They are able to enjoy time in San Francisco while they are there. William Young, of San Pablo, lost his cousin, Beatrice, to Alzheimer’s disease. He remembers his sadness when she didn’t recognize him at a family reunion. His love for Beatrice and an ad posted at his apartment complex led him to get involved. Researchers were seeking older adults without Alzheimer’s to be screened for a study. William has participated in the Alzheimer’s Disease NeuroImaging (ADNI) study since 2012. William is 89 years old and a retired quality engineer. He appreciates the value of measurement and making improvements. Given his background, it makes sense that he would join the study. William says that being part of the study is a relatively painless process. Procedures involve questionnaires, along with physical exams, blood tests, and MRI and PET scans. Prior to the procedures, staff tell William about any risks. They answer his questions and get his written consent. They send the exam results to his physician, in case they find any health issues. William recommends that others get involved in research studies. He has enjoyed being in the study and plans to stay involved as long as he is able. Ollie, William’s wife, is also joining the study. William remembers when the polio vaccine became available in the 1950s. Research volunteers helped make that advance possible. Someday William’s involvement may help lead to a breakthrough for Alzheimer’s. 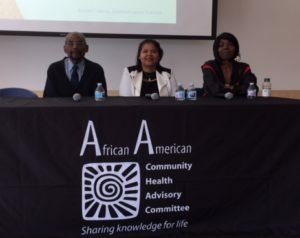 African Americans are two times more likely to develop late-onset Alzheimer’s disease than whites and less likely to have a diagnosis. This leads to less time for treatment and planning. 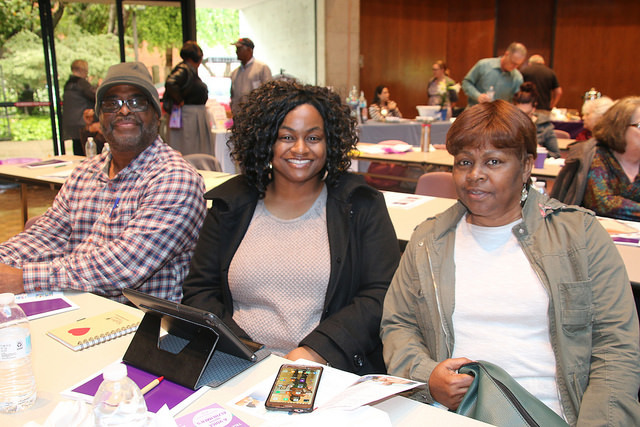 Having research participants from different races, ethnicities and genders will help ensure that prevention or treatment strategies are effective in multiple populations. The Alzheimer’s Association is committed to serving all communities in our region. One of our upcoming events is tailored to the needs of caregivers in the African American community. Join us on March 24th in San Jose. Learn more about this and other upcoming forums.